This September, I am hosting the annual conference of the European Committee for Sports History (CESH) at the International Centre for Sports History and Culture, De Montfort University. the conference will take place on 5-7 September inclusive. papers are welcome on any subject linked to the history of sport, physical education, and physical culture, and they can be delivered in any European language. For full details, including the Call for Papers and directions on submitting an abstract, please visit CESH’s site. On Wednesday 27 January, West Suffolk College in Bury St Edmund’s will be holding its first Festival of History and English, with speakers from both subject areas giving papers on a range of themes for current and prospective students and anyone with an interest. I’ll be speaking on Britian’s Olimpick, Olympic, and Olympian History, 1612-2012. Other speakers and their subjects are Rebecca Pinner of UEA on ‘Arrows, Wolves and Wuffings: Finding St Edmund in East Anglian Churches’, John Gardner of Anglia Ruskin on ‘Poetry, Protest, Rebellion and Repression in Britain in after Waterloo’, Dilwyn Porter of DMU on ‘The ‘Daily Mirror’, its readers and their money, c.1960-2000′, Emily Crane of King Edward IV School on ‘Art, Literature and Film in post-colonial India: The Legacy of Rabindranath Tagore’, and Adrian May of the University of Essex on ‘The Poet and Song’. Click here for full details of the Festival. Full details are here. Follow @BSSH South on Twitter. I’ll be rounding things off with the keynote on Football Diplomacy. The event is free (though lunch is not provided), and will run from 9.30-5.00. If you would like to attend, please email bsshsouthcentral@gmail.com by Wednesday, 11 June 2014. I’m going to be on the Today Programme on BBC Radio 4 on 19 April, discussing the history of sport and politics. I’m scheduled to be on sometime between 8.40 and 9.00. Then it’ll be straight from Broadcasting House to Lord’s, where I’m giving a keynote paper about the Olympic Games to the Sports Heritage Network‘s conference. And yet at the 1908 Olympic Games, women competed in five sports, more than at any of the previous three Olympic Games: lawn tennis, archery, ice skating, yachting, and motorboat racing. There were also demonstration events in gymnastics and diving. These Games thus form a fascinating case study in the history of gender issues at the Olympic Games. The fact that they were held in a London where the Suffragettes were demonstrating for the right to vote, and in which a quiet but influential debate over the legal status of homosexuality was going on, makes them truly fascinating. 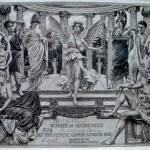 The University of Westminster has a long history of involvement in the Olympic Games, as it is the successor to the Polytechnic, which helped to run the 1908 Games and which provided many Olympians. The conference will celebrate this, while also allowing shcolars to explore other links between sport and cities. 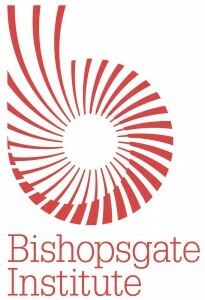 From April to July 2012, the Bishopsgate Institute in London is hosting a series of talks and events on the Olympic Games, called Capital Games. They start on 29 April with a guided walk around the Lower Lea Valley, and end on 4 July with a talk about the legacy of the 2012 Olympic Games. The speakers include academics, journalists, London guides, and sports policy makers. I’m involved with the event on Thursday 7 June, when I’ll be joining Matt Rogan, author of Britain and the Olympic Games: Past, Present, Legacy, and David Miller, author of London 2012: The Official History of the Olympic Games and the IOC 1894-2012, for a talk entitled “The Past and Present London Games”. We will be comparing and contrasting the 2012 Olympic Games with 1948,when public debt in Britain was higher that today and athletes were on rations, and with 1908, which saw the Games held at the world’s first purpose-built Olympic stadium. We will also take a look at the National Olympian Games of 1866 to see how far they were a template for Coubertin’s version of the Olympic Games. You can book tickets for this and the other events here. The Design History Society’s annual conference for 2012 will be on the theme of The Material Culture of Sport. It will bring academics and parctitioners from a range of areas together, with strands that will include the links between sport and architecture, transport, urban design, clothing, media, and so much more. Keynote speakers will include Iain Sinclair and Iain Macrury. You can get the full details, including the deadline for abstracts, here.